Are you looking for ways of improving the insights and intelligence at hand? 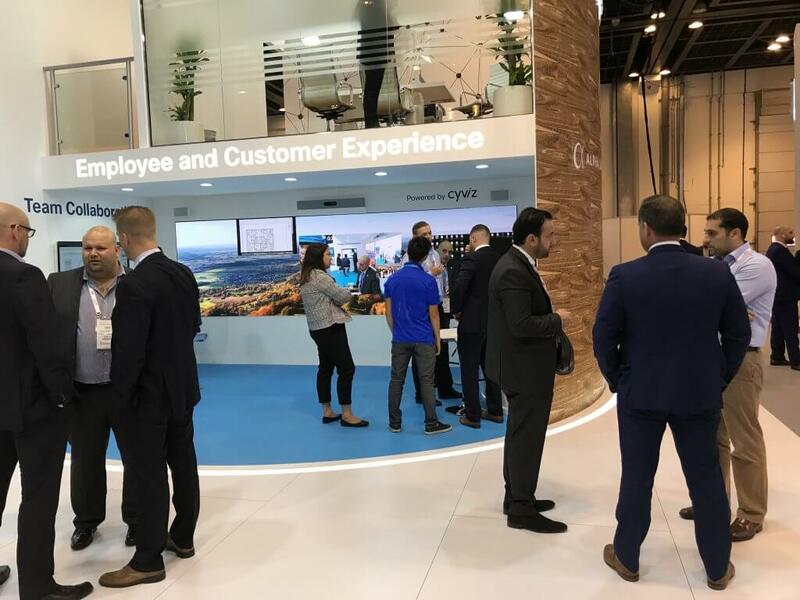 This year Cyviz has installed a complete solution at the Cisco stand Z1-B20 at GITEX. We will use the opportunity to exhibit the full Cyviz Experience and demonstrate how multiple applications and content can be displayed simultaneously and how the team can engage and interact with the data. Together with Cisco we can also offer integration with video conferencing and create seamless experiences in your meetings, regardless of whether the participants are remote or in the room. Come see us at GITEX on the 14-18th of October in Dubai to learn more.